If you are considering trying out some business intelligence software you may be wondering what the benefits really are. You will probably more than likely wonder if there are any risks involved also, especially if you are going to be using your dashboard to deal with sensitive information. Many sites and articles will tell you that there are great benefits involved with using a dashboard solution such as Excel Dashboard, but not very many specify exactly what those benefits are. This is one of the principle benefits of most forms of information technology. Whereas previously hours of manpower would have to be invested into collecting and charting the data in just one single graph, business intelligence solutions like Excel Dashboard can provide up-to-date detailed reports in seconds. When the cost of paying a team of accountants to create a single report is considered, business intelligence solutions are an undeniable bargain. In most large organisations there is a vast gap between the managerial staff who make decisions and those further down the ranks who are in charge of putting these decisions into action. With effectively laid out dashboards, higher up executives can get realtime data of the day-t0-day dealings of any aspect of the business and instantly see how their plans are being put into effect. Using the analytical features of Excel Dashboard enables dashboard users to extrapolate data forward in time and gain predictions on future performance. Even without activating these analytical features, it is possible to plan ahead for possible issues and problems based on the volume of data and detail in each report. With an Excel dashboard generating KPI reports and other business related reports, the managerial staff of any business will find their focus shifting towards correctly analysing the data provided. Once the benefits of a dashboard are recognised, the emphasis will be on using the data provided effectively in order to boost performance. The benefits of dashboard solutions are clear and valuable. In the next post we will discuss any risks that should be accounted for, such as data security etc. The first Dashboards begin to be used for the purposes of business intelligence in the mid 1980s. However these programs had limited capabilities, and were often limited to executives within an organisation. Since then dashboards have developed and become wide spread. Dashboards currently fall under the category of Business Intelligence Systems, with multiple layers that are tailored to various users within a company. They are designed to integrate data from multiple sources, such as documents, communication programs and data files in order to create reports and highlight potential problems. 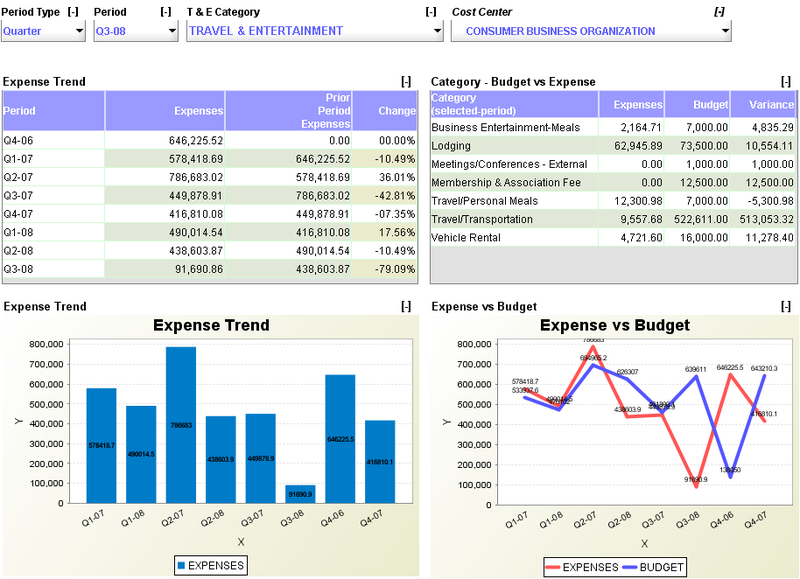 As business intelligence software developed, programs were able to create basic reports from data files. However these reports were limited to certain areas, and the applications were not capable of creating comparative analyses. Nowadays one of the key features of business intelligence and dashboard technologies is the ability to perform comparative analysis. These multi-layered reports are presented visually. The two key aspects of dashboard technologies are now visualization and integration. 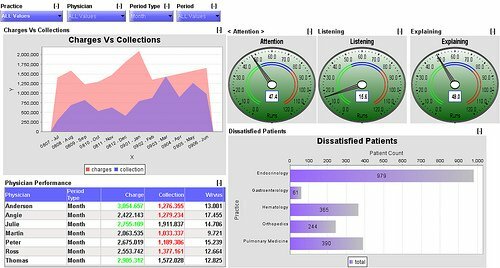 In each dashboard key performance indicators are highlighted and displayed, and any changes or complications are immediately visible. If you are running a business, large or small, your focus and the focus of your business intelligence software will always be directed towards your key performance indicators. Your key performance indicators may reflect two or more aspects of your business. For example, you will always need to know how successful your enterprise is. You may also have laid down some long term goals. Key performance indicators can show you how you are progressing towards fulfilling those aims. Excel Dashboard can track your business’ performance, and specifically focus on any Key Performance Indicators you specify. For example you can direct your dashboard to focus on sales results or market share. It is especially important to be able to compare the performance of your company against that of other groups in the same industry. This sort of comparative analysis can take a long time, however Excel Dashboard can do it for you in minutes. You can also use Excel Dashboard to compare data and figures from various sales quarters to each other. This helps you to see your overall performance over a longer period of time and indicates how you are progressing towards certain performance aims you may have established. In short, any decisions that are made by the highest levels of management within a company should be as informed as possible. With Excel Dashboard Key Performance Indicators are instantly visible, and detailed but clear overviews of any aspect of business performance can be generated instantly.